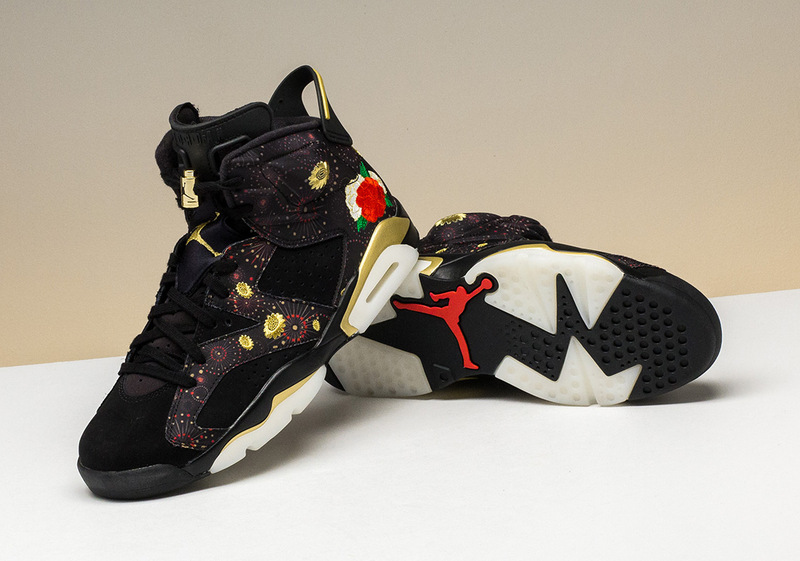 Jordan Brand and Nike will soon turn its attention to the annual Chinese New Year celebration as several footwear options will become available in January. 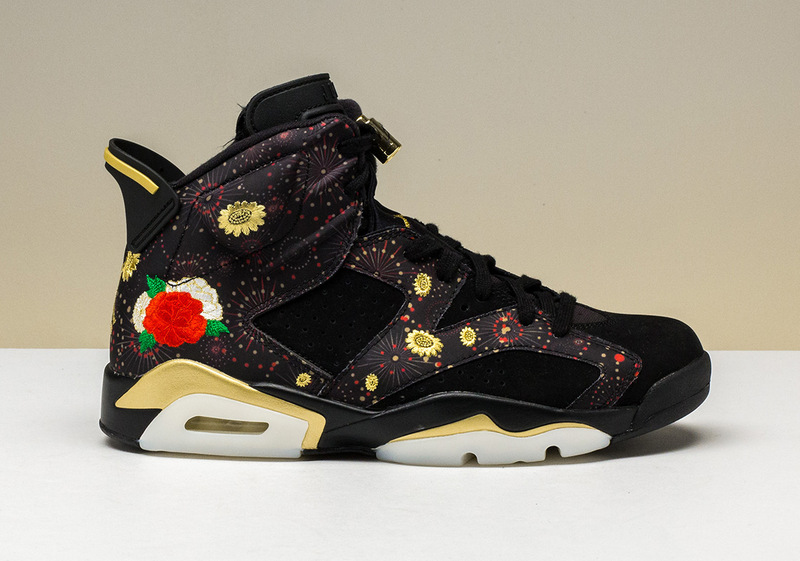 One anchoring visual theme will be the blooming red and white flower embroidery seen on the heels of this Air Jordan 6 Retro as well as the Nike Kyrie 4 that was previewed earlier this week. 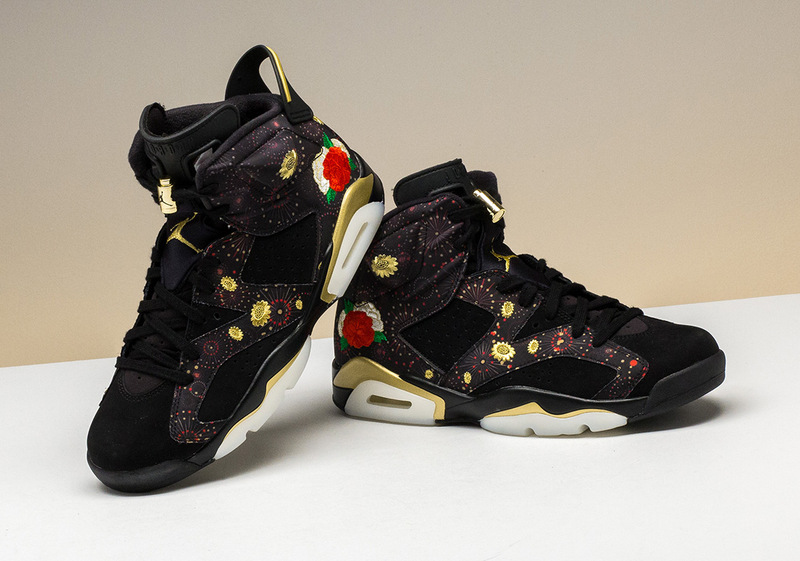 Fireworks will also serve as an enticing graphic as well, while the black, gold, and red colorway speaks to the traditional colors of the holiday. 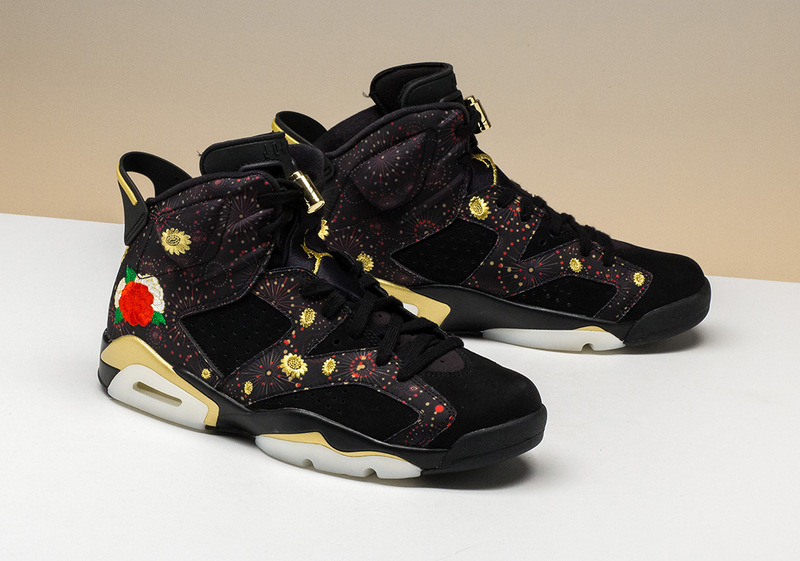 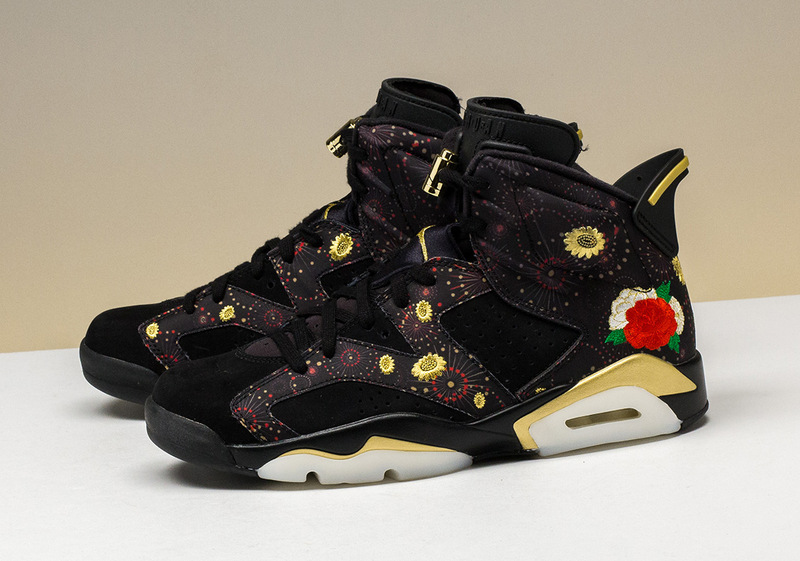 The Air Jordan 6 “Chinese New Year” won’t drop until January, but they’re available now in select sizes at Stadium Goods.